What can you do if you have no money for Christmas? Christmas is fast approaching and for many, it’s not an easy time of year. Finances are strapped, expectations are high and for some, a drastic change in circumstances means Christmas might not be all you’d hoped for. *Limited time $75 offer. We just got an email where you can get $75 for signing up to ING. All you have to do is sign up at ingdirect.com.au/everyday and use the code CNW116 during the application then deposit your pay of $1000 or more within a calendar month. $75 free before Christmas! 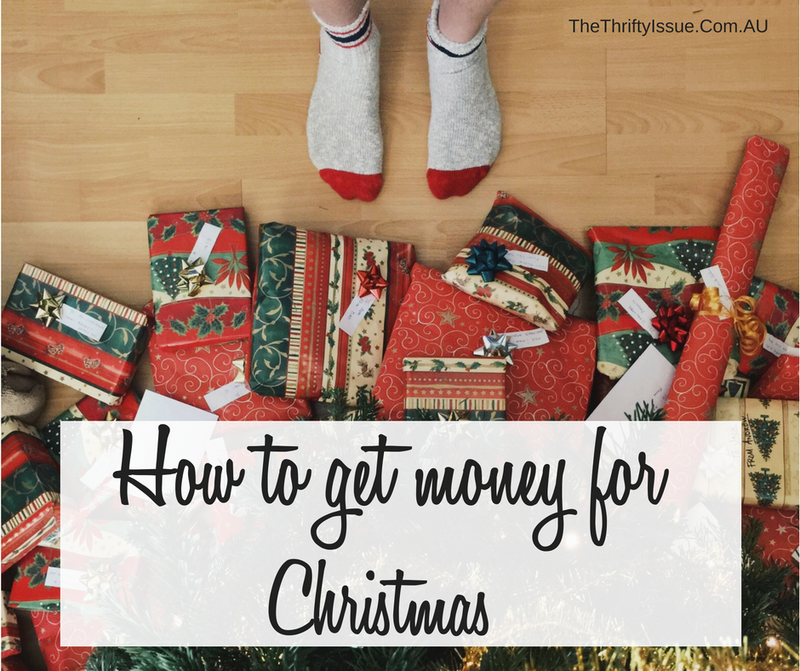 Here are some things you can start doing to have more money for Christmas. Compare your insurance policies, phone and internet packages, electricity providers, credit cards, everything. Is there a better deal you could be on? Are you paying more than you need to? When I have compared prices on car insurance policies the premiums have varied by thousands of dollars. When I have found a cheaper policy, I have switched and gotten a refund from the previous provider. Recently, I reassessed our health insurance. I had a family package with extras we weren’t using. I changed it and am saving $90 a fortnight with this. Doing it right now means an extra $360 in my pocket before Christmas. If you are going away, consider renting your home out to friends or family who might be visiting. Alternatively, consider renting it out through AirBnB or in the lead up to Christmas, make one room available for people to rent when they come to your town to visit. This can be $50 to $250 per night for most places I have seen. Check out this post for tips on using AirBnB. Do it once a week and you’ve got an extra $400 to $2000 in time for Christmas. $50 to $100 a week is $400 to $800 in time for Christmas. Go over every reward program you are signed up to and cash in your points to use at Christmas as well as seeing what they have on offer for Christmas time. Do this with online surveys as well and make sure you check out our 10 ways to get discounts and coupons in Australia, some times they have cash bonuses. If you have been collecting points all year, you might find you have $250 to $1,000 sitting there (based on personal experience). If you aren’t signed up to an VIP clubs or online survey programs, join now and start accruing as much as you can. I have a list of the best Australian online survey sites here (they make over $1,000 a year), plus a complete list of Australian VIP/loyalty clubs here and another list with Australian coupons and discounts. Use the sign up bonuses, cash in points, do surveys and use all that money for this Christmas and continue with it for next year. Most people I know get at least $200 with this. Write out everyone you need to give gifts to then brainstorm gifts you could make. I have a Pinterest board I pin homemade gift ideas to which might help, alternatively, I have a bunch of articles on here for gifts you can make, with more coming. Once you know who you are buying for, what they would like and whether you are making or buying a present, you can create a plan, look out for things on sale and get resourceful. As for the day itself, do you know where are you for Christmas? Do you need to cater or do you have to take into account travel arrangements? How much can you afford and what do you want to eat? Plan as much as you can ahead of time, work out a budget and stick to it. If you are eligible, there are many organisations you can put your name down with to get Christmas Hampers to ease the costs. I’ve never been through the process as I didn’t know how much was available to me when I needed it. Check local churches, local charities, even some sporting clubs and other organisations have hampers you can register for. Also, depending on your circumstances, you may be eligible for $500+ in assistance to pay for electricity and other bills. Many charities offer this, you need to speak with one of their financial counsellors to sort it out though. I know of many on Centrelink who have had over $800 assistance with this and quickly. Look at everything you can do to make extra money. Christmas is great for seasonal opportunities such as selling at markets, putting up Christmas decorations for other people, domestic duties like cleaning, babysitting, gardening, house or pet sitting all increase as do sales on eBay. What can you do to make extra money at Christmas? Check out 10 ways to make $1,000 in a month for a few ideas. If you get creative, review your expenses and do some extra things in the coming weeks you could easily get an extra $1,000 or more. Also, check out our latest giveaway worth over $800! Make sure you subscribe to our newsletter to get more ways to make and save money, plus giveaways every month. What do you do to make extra money at Christmas? Minimum effort is always great when looking at something to make some $$$. Glad you and your wife do it and enjoy it. Such great ideas – I love cashing in my loyalty points, it’s always such a pleasant surprise when I realise how many I have collected!